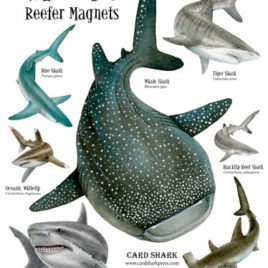 All shapes & sizes, from the benevolent whale shark to the toothy little black-tip reef shark! 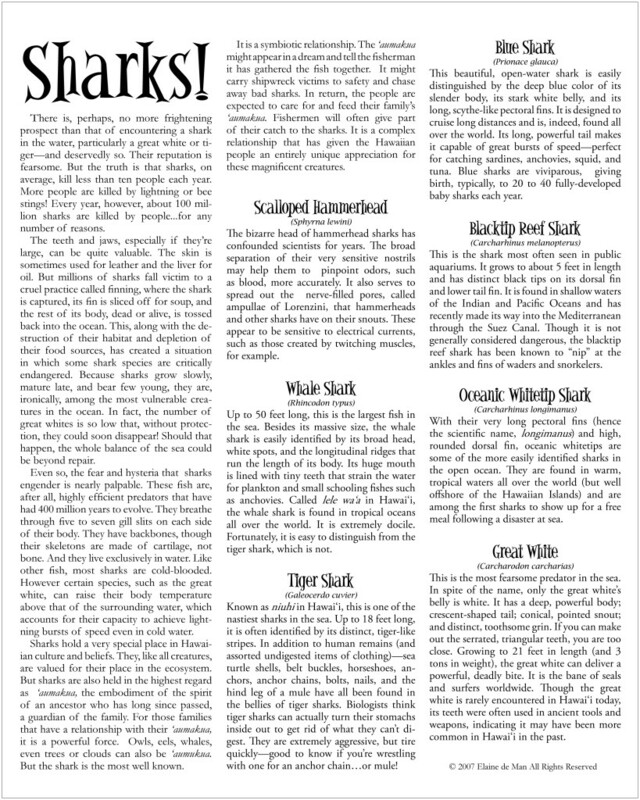 Each 8 X 10-inch sheet includes seven individual shark magnets, including the (gulp) great white, ready to be peeled off and applied to any magentic surface: refrgierators, lockers, steel doors so you can create your own feeding frenzy. Beautiful, fun, and educational! And the back of each sheet has detailed information about the life history of each species, along with its significance to Hawaiian life and culture. You can order below. But be forwarned. One may not be enough!